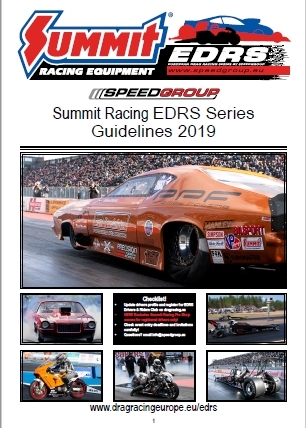 The Guidelines for the Summit Racing EDRS Series is an official document, that can be downloaded or read online. It serves as support for all parties involved in the series. The document contains important information and it is highly recommended that all teams and organisers look it through. If for any reason, adjustments of the content is needed, Speedgroup reserve the right to publish an updated version on this page.